A leaf vector character made in a modern cartoon style. 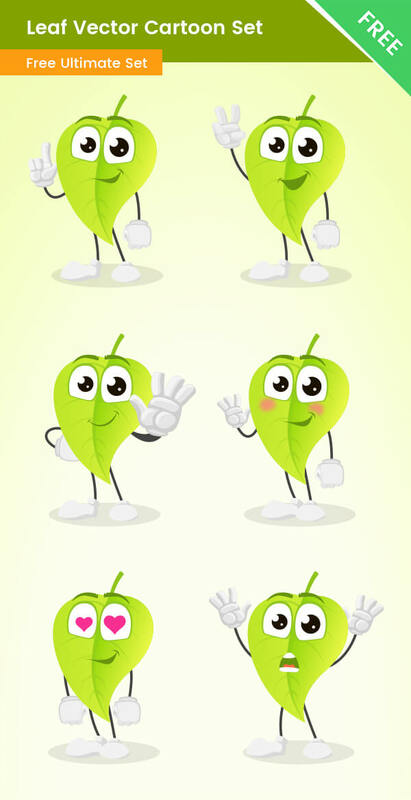 This free leaf is made in a set of 6 different emotion poses. All of the poses are made of vector shapes, so you can easily modify them or even make your own poses. Because we’ve made this character of vectors, you can use the illustrations in high-quality designs without losing quality.